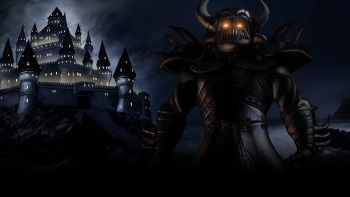 The Baldur's Gate Enhanced Edition has been pushed back into November. Back in July, Overhaul Games said the Baldur's Gate Enhanced Edition would ship on September 18. That day is almost upon us, but as it turns out, a return to the Sword Coast is not. "After recently reviewing the game and then consulting with our partners, we've decided to ensure that Baldur's Gate: Enhanced Edition is the best possible product on launch," Overhaul President Trent Oster announced. "Thus, we have pushed back the release date of the game." In an unusual twist, it sounds like the delay was prompted at least in part by the overwhelming fan response to the game. "Thousands of you posted suggestions and requests on our forums. Dozens of volunteers from all over the world helped us improve gameplay, squash bugs and generally fine-tune the game. Even more came to help work on translations from English to more than 16 other languages," Oster explained. "Executing on our plan to make the best Baldur's Gate possible and responding to that overwhelming feedback, we've added new characters, areas, and story, creating many new hours of game play. Yet the suggestions, fixes, and translations continue, and more volunteers keep joining." To make up for the delay, Oster promised "something a little extra" for everyone who preordered, but it's not like the wait will be intolerable: Baldur's Gate Enhanced Edition is now scheduled to come out on November 30.